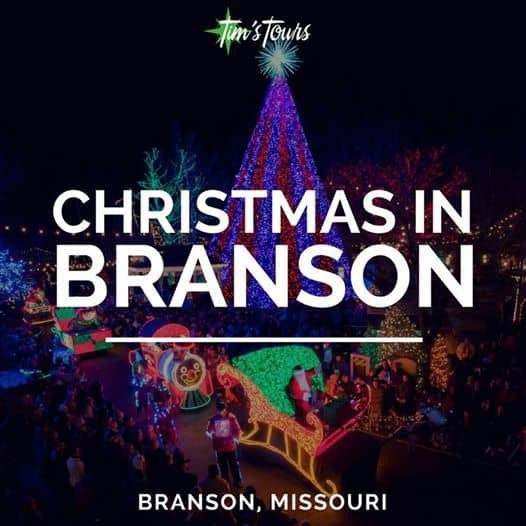 Tour Description: Enjoy the ultimate gaming experience with 1500 ticket-in-ticket out slots, gaming tables, including a poker room and over 100 plasma screen televisions. 1 night at the 4 Star Holiday Inn Express by the Casino with Breakfast & Complimentary Limousine & Bus shuttle service. 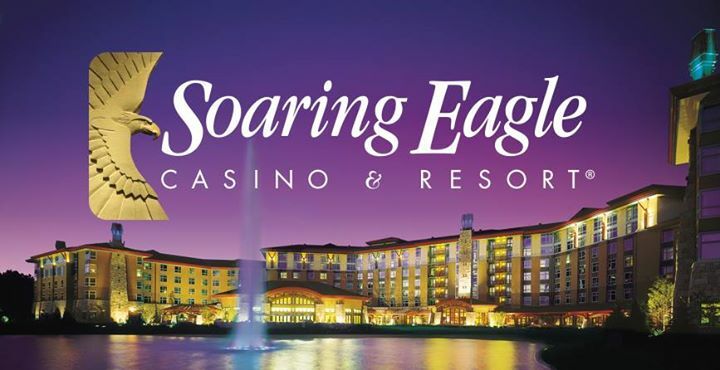 Gaming stops at Soaring Eagle Casino in each direction. A hefty casino package up to $120 in casino incentives based on points earned. 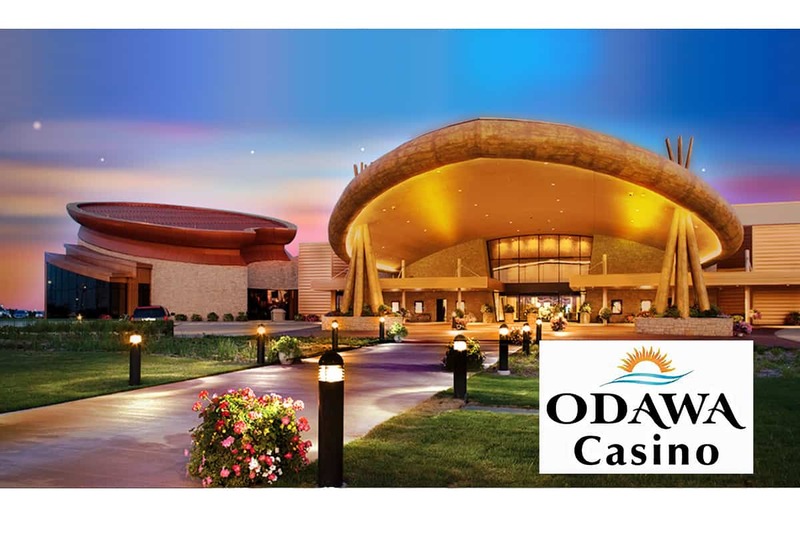 Casino Description: Odawa Casino – Petoskey location delivers Vegas-style gaming in the heart of Northern Michigan. With more than 50,000 square feet to welcome players of every skill level, you’ll be sure to feel the pure excitement and warm hospitality here. Take a seat at your favorite table or slot machine! With nearly 1,000 slots at our Petoskey property, you’re sure to find the one that lights up your visit to Odawa Casino! Odawa Casino Petoskey has dozens of your favorite table games—including high limits—are here to deliver fast action! Odawa also offers dining options as distinctive as its guests. From a quick bite on the run to a gourmet meal paired with the perfect wine. Every craving can be satisfied. Every budget can be met. And every expectation can be surpassed. 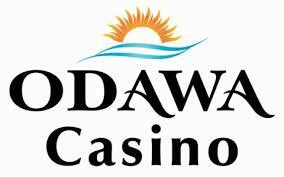 Odawa Casino Petoskey, everything comes together to enhance the player experience for those 19 and over. Soaring Eagle – You can feel your pulse quicken the moment you walk in the door. 210,000 square feet of excitement – that’s what you will experience on Michigan’s most action-packed gaming floor. There are also many new things here at Soaring Eagle! Brand new VIP area, Non-Smoking Room, Poker Room, new Sports Bar/Restaurant Ascend, new Deli, and updated Entertainment Hall. Let your hot streak begin at Soaring Eagle Casino & Resort. Earn $5 in slot play for ever 100 points earned. Up to an Extra $20 for each visit. Receive up to $120 in casino incentives. 6:30am Depart Dearborn Public Library. 7:25am Depart K-Mart at 15 Mile & Groesbeck (Southeast corner of parking lot). 5:45pm Depart for Odawa Casino. 6:00pm Arrive at Odawa Casino. Receive $15 in Slot-Play and Bottle of Water at departure. Earn $5 in free slot play for every 100 points earned. Up to an extra $20. Complimentary Breakfast in Hotel Lobby. 9:00am Bus departs for Odawa Casino. 9:15am Arrive at Odawa Casino. Receive $15 in Slot-Play and Bottle of Water at departure. 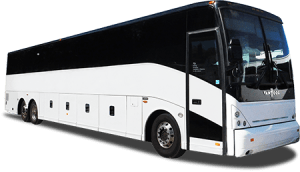 12:15pm Bus departs for Soaring Eagle Casino.